Of course, we all hope you never run into any issues with your current heating oil supplier. But sometimes things can happen which are out of your control which you may not be happy about. The prices for oil change all the time, so your fuel supplier may charge you more for delivery than agreed when you ordered the oil. Only pay the price you agreed with them when you ordered your oil supply – you had a verbal contract and the supplier must stick to this. Therefore, the price they quoted you when the fuel is ordered is a secure price. Even if it was only agreed verbally, it still counts as a contract between both parties. The price cannot be changed by the supplier from that point onwards. Unless you have written evidence, it may be difficult to prove the price you agreed with the supplier. The fuel company does not have a legal requirement to provide details of the oil supply in writing, however, you can request this. You should get some sort of written confirmation, e.g. an e-mail, if you order your fuel over the internet. If there are any conditions to the price, make sure that it is stated on the written confirmation. For example, the price quoted may only be valid for a certain period of time. When placing your order, it’s always advisable to double check that the person taking the order has correctly recorded the amount of heating oil that you have placed your order for. Genuine mistakes can happen of course, but they can and should be ruled out when you’re as reliant on something as important as heating oil. So it’s always wise to double check the order with the person processing your order to ensure everything is correct. Of course, this should ensure you get what you ordered and the right amount of fuel is delivered to your organisation or domestic property. But should you find that the wrong amount of fuel has been supplied by the oil company by mistake. For example, the oil company has filled your oil storage tank with 2000 litres of domestic heating oil / domestic heating oil, even though the order you placed was confirmed by the person taking your order, for only 1000 litres. How you deal with this situation is down to your own personal circumstances or requirements since the mistake was made by the company supplying the oil and not yourself based on your original order. 1. 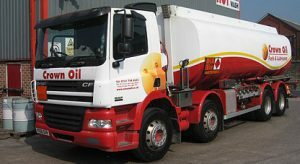 If you do not require the amount of fuel that has been delivered, you should request the extra oil to be removed from your tank by your heating oil supplier. 2. Of course, if you know you will use the additional oil that has been delivered. Your heating oil supplier should allow you to buy the additional oil after re-adjusting the quoted price, as this will be a larger order than you originally place, meaning you may be able to get a better price. Whatever you choose to do, if you can prove the mistake was not of your doing, then the heating oil supplier should be more than willing to rectify any issues and ensure you’re happy with your order.